The latest report from the Federal Reserve Board of Governors on credit utilization showed that Americans’ borrowing activity rebounded in February (lagged release). 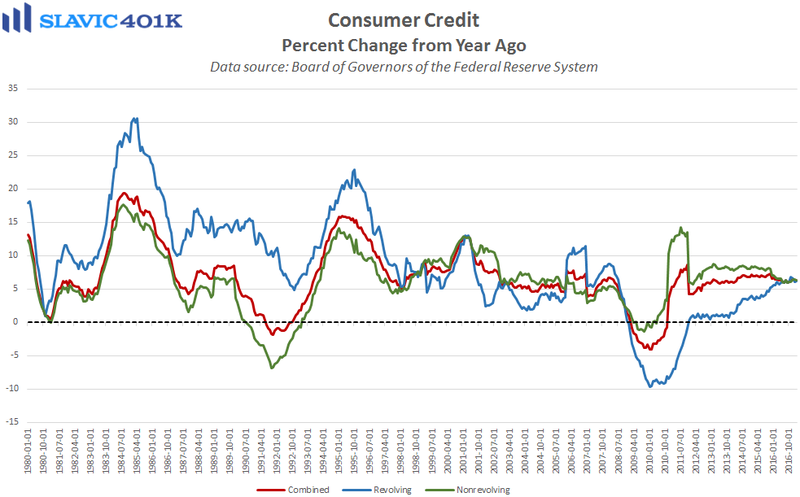 Specifically, total U.S. consumer credit outstanding rose by $15.2 billion to $3.8 trillion, equating to a seasonally adjusted annual growth rate of 4.8 percent. That was a larger monthly increase than economists had expected and January’s disappointing gain was revised higher by $1.1 billion. Non-revolving credit, e.g. student and automobile loans, as usual accounted for the bulk of the monthly growth in consumer credit. Although February’s $12.3 billion gain was below the 5-year average, it was still the 66th monthly increase in a row for non-revolving credit. 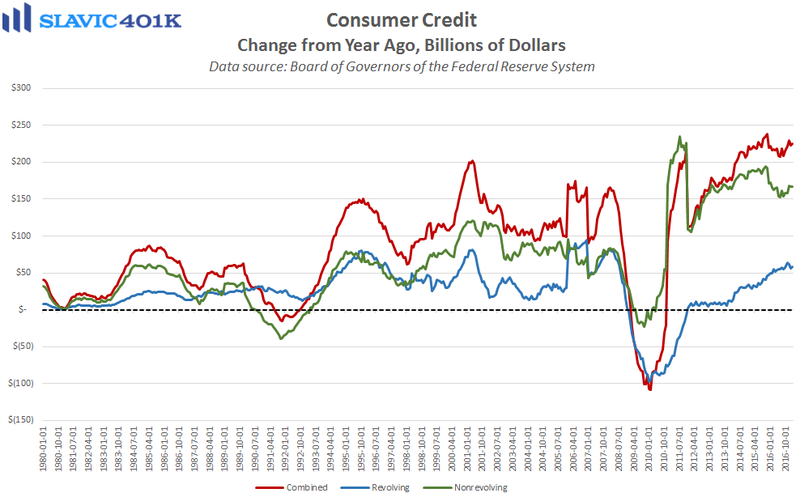 As for revolving credit, this metric of Americans’ credit card use rose by $2.9 billion to $1.0 trillion in February, a welcome improvement from January’s $2.6 billion decline and the first total reading of at least $1 trillion in more than a decade. Altogether it appears that the longer-term trends of an acceleration in revolving credit growth and a somewhat stalled expansion in non-revolving credit are still firmly in place. Going forward, though, stricter lending standards and higher interest rates have the potential to curtail credit growth. However, those headwinds could be offset by continued strength in the U.S. labor market, especially if wage growth finally accelerates.